A kiss. A touch. A… Frying Pan? Research scientist Tamsin Carter is close to finding a cure to a rare shifter disease, one she has. When offered an unbelievable career opportunity, Tamsin takes it without question and won’t let anything — or anyone — get in her way. 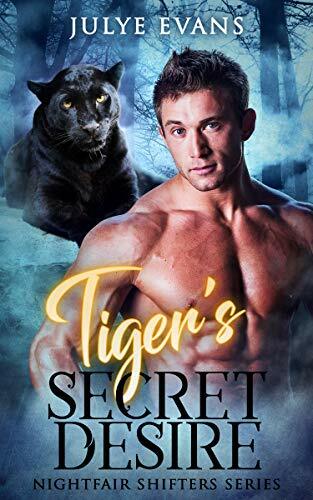 Not even the hot tiger shifter whose kisses make her inner panther purr. Nightfair mercenary Chris O'Neal loves to get under Tamsin’s skin — but has yet to get in her bed. When Tamsin's sister tells Nightfair she's missing, his tiger goes crazy. Could his connection to the dusky beauty be more than skin deep? Chris finds Tamsin and tells her he's there to rescue her. She thinks he has got to be kidding. But a series of suspicious disappearances and violent incidents leads her to believe someone is out to get her. Together they must solve the mystery before someone dies and will use every resource available. Even a frying pan. Is there more between them than just heat and fire, or will the mysterious foe tear them apart before they can find out? Pick up this exciting romance today!